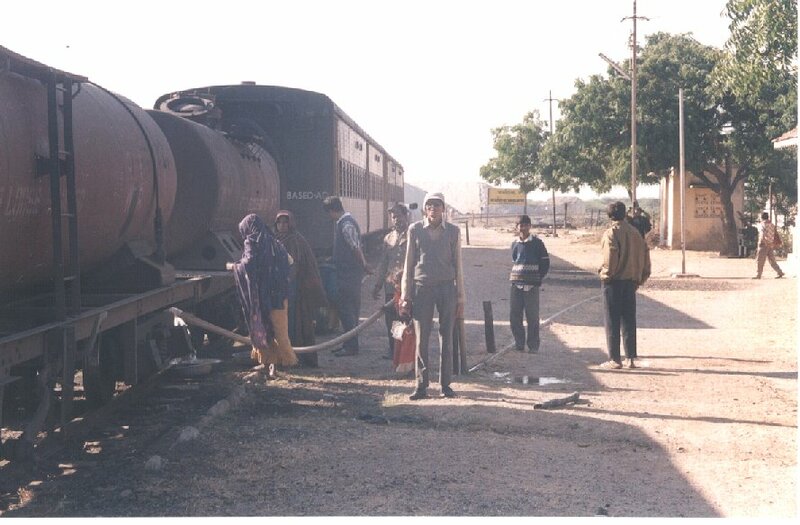 The cute BTW wagon holding 'drink water', the rake is meant to run between DHG - KUDA, which stations are these ? 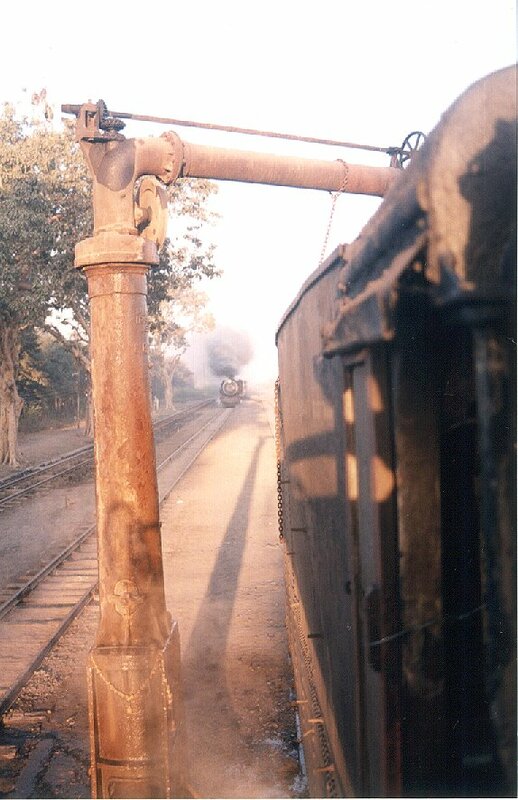 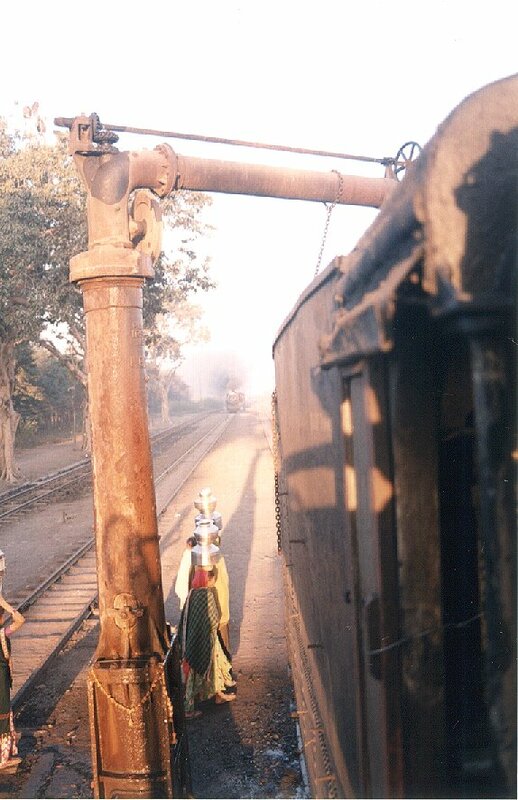 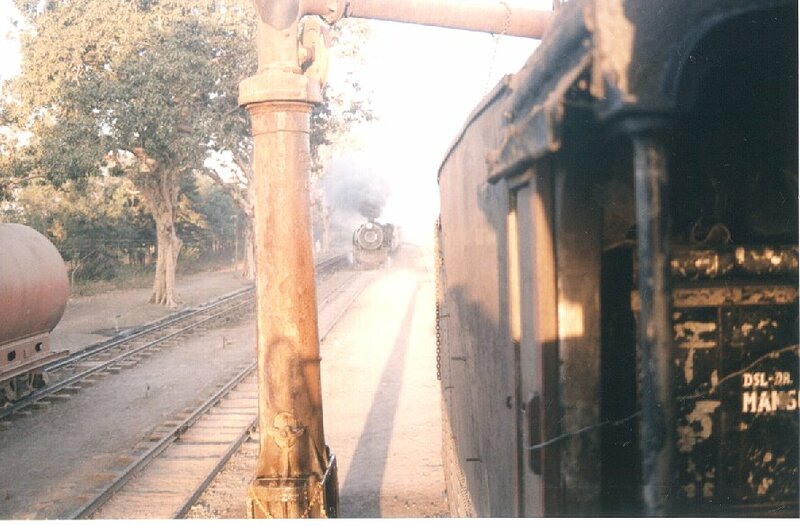 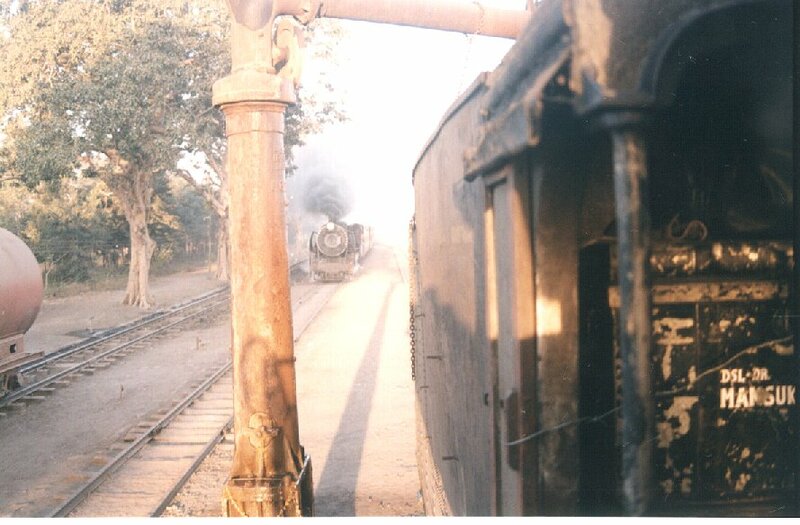 The YP 2805 returns from overnight halt at Dahinsara. 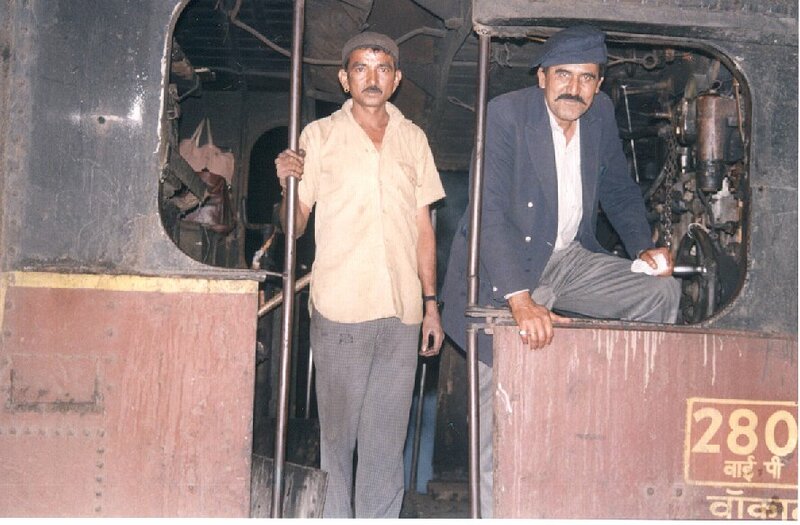 Driver Govind and his fireman. 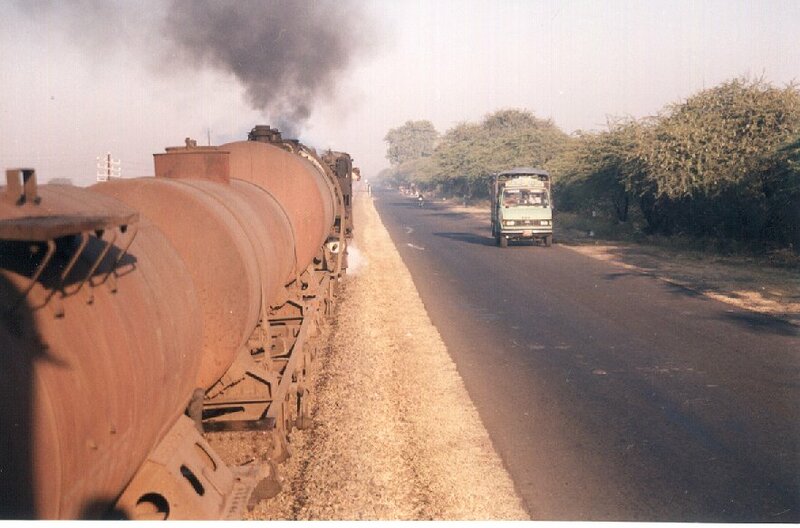 Approaching Dahinsara, the road shifts on the left side. 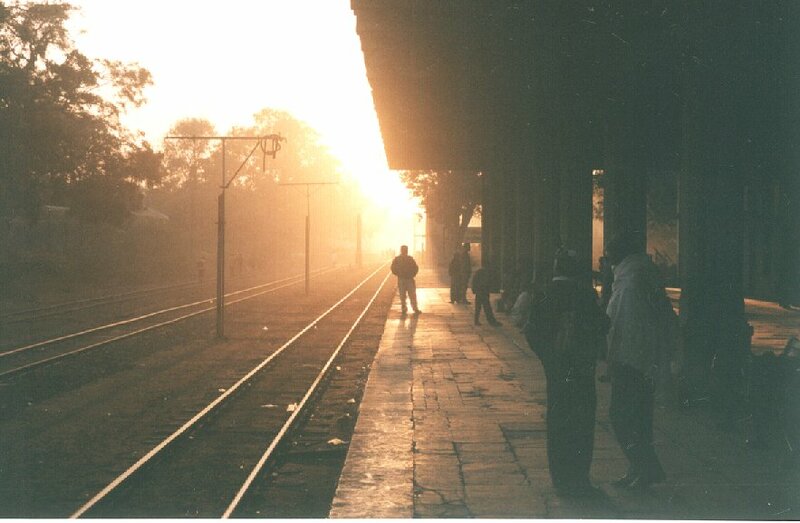 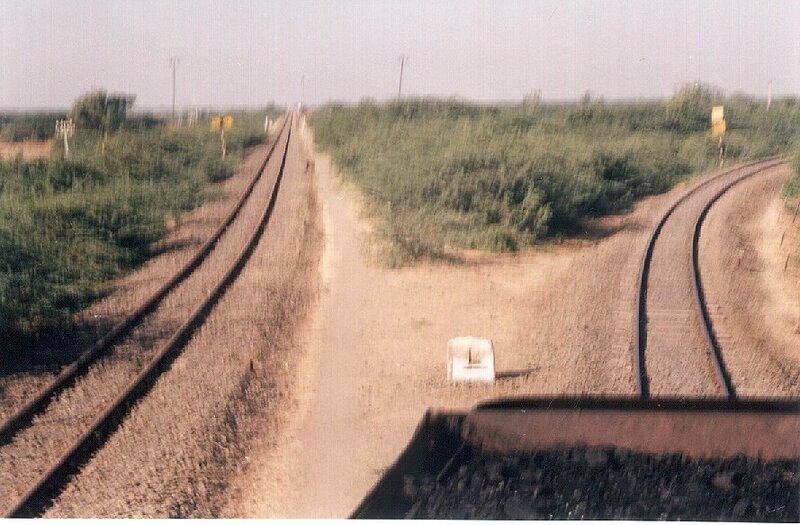 The track on the left goes to Navlakhi to the salt pans after leaving Dahinsara. 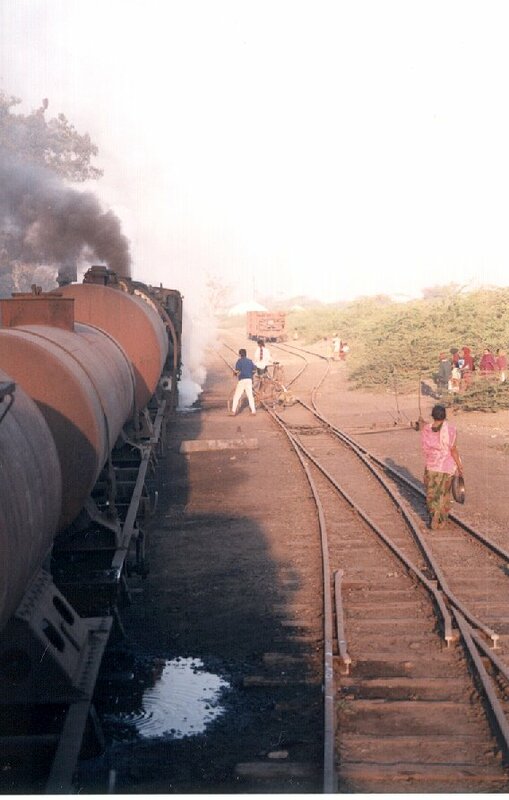 This track is badly damaged in a recent cyclone and is unused. 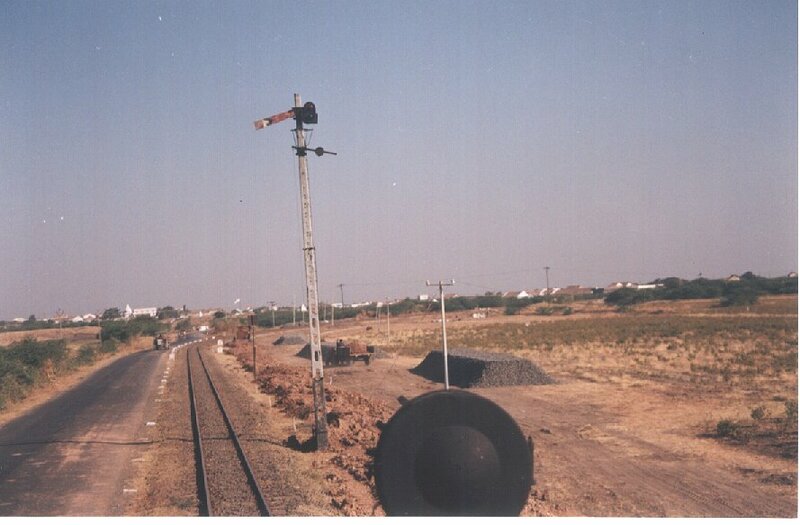 Mountain of salt at Vavania in the background. 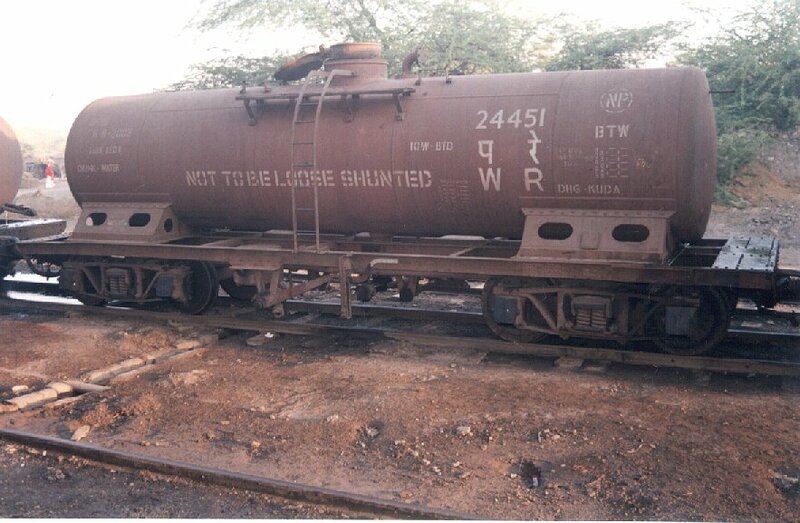 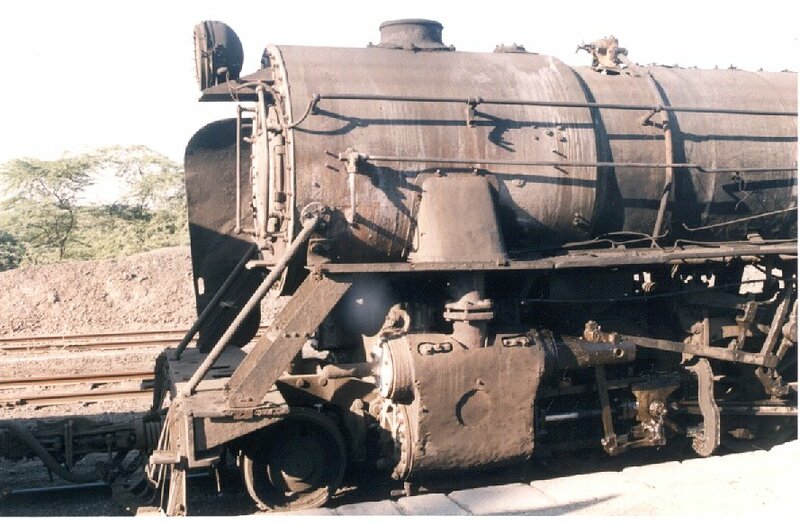 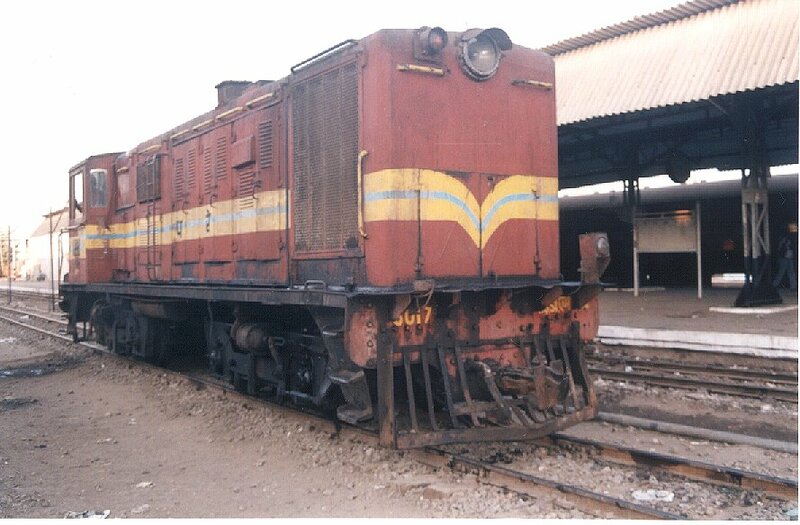 A relic of the pioneering diesel age, the North British YDM 1 diesel hydraulic, 6017 returns to its parent shed at Gandhidham. 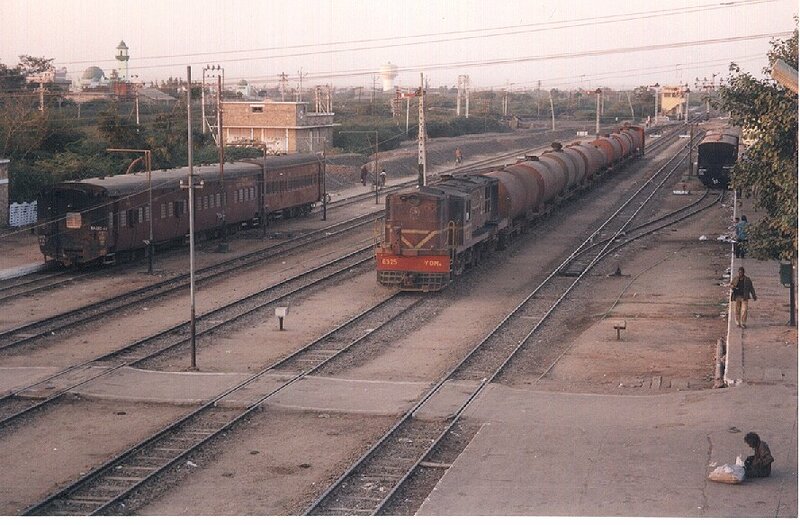 Water tanker train homing at Naliya arrive at Gandhidham with the YDM 4 # 6325 in charge. 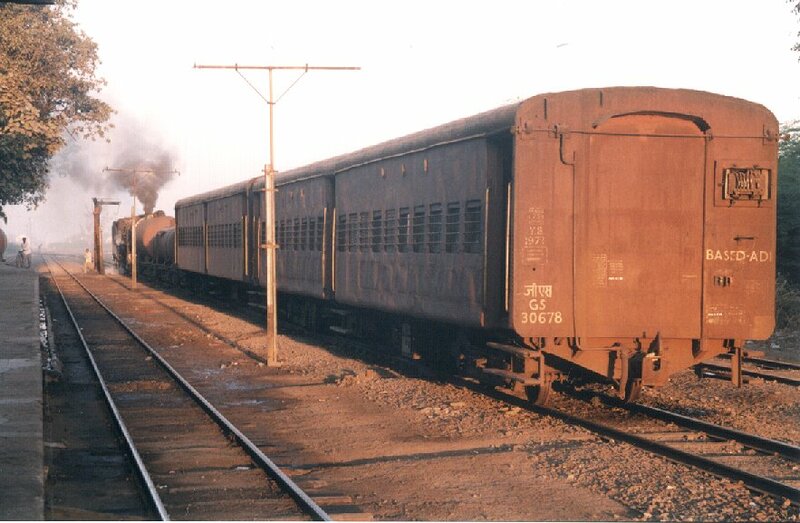 Note the inspection carriages on the leftmost track.